With Channel 4 ever popular for producing great property programmes. Phil and Kirstie are like a Uncle and Aunty in the UK at this time. But who are they. What made them get in the property game. Let us reveal the real Phil and Kristie. 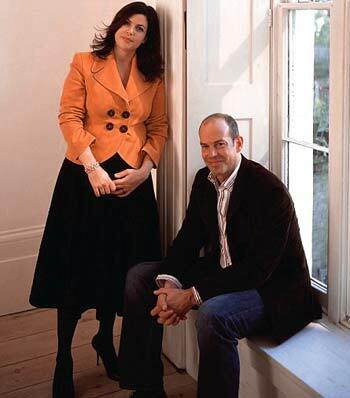 Phil runs a successful Property Search company with co-presenter, Kirstie Allsopp, – no surprise there then. Together they present the Channel 4 property series Location Revisited or location location or even a relocation relocation . Phil originally started out life a s a surveyor. This led him down the path of a great understanding of what requirements are needed to succeed in the property game. He also writes a property section for a respected magazine, has appeared in Home Buyer magazine and Night & Day in the Mail on Sunday and has a monthly column in The Sunday Times. His Co-presenter of location is Kirstie Allsop. Kirstie acts like a stroppy little to wife to Phil but is far from that in reality. It’s slightly staged and well excuted. Originally Kirstie spent some time in India teaching English. Upon returning to the UK she worked for Country Living and Food & Homes Magazines, gained a wealth of experience within the interior design field at Hindlip & Prentice Interiors and studied the History of Art at Christie’s – all of which have helped give Kirstie an eye for detail when viewing homes and potential profit. Kirstie started a property search company before breaking into the C4 property show. She has since written several books and become a mum. Like Phil Spencer, she provides regular contributions to magazines, television programmes and she continues to make her views on UK housing policy clear to the governement. They may not be your cup of tea – but there is no doubt about it Phil and Kirstie have a lot of fans. This is a excellent webpage. I’ve bookmarked this site and I’ll tell my friends regarding it. Great show and interaction between you both. It makes me laugh! Very informative and helpful in my own business in Marbella.